Originally built in 1977, this 1600 SF townhouse was in desperate need of a remodel. With outdated finishes, and inefficient floor plan which was divided and chopped up by a retro-mirror fireplace, right in the middle of the floor plan. 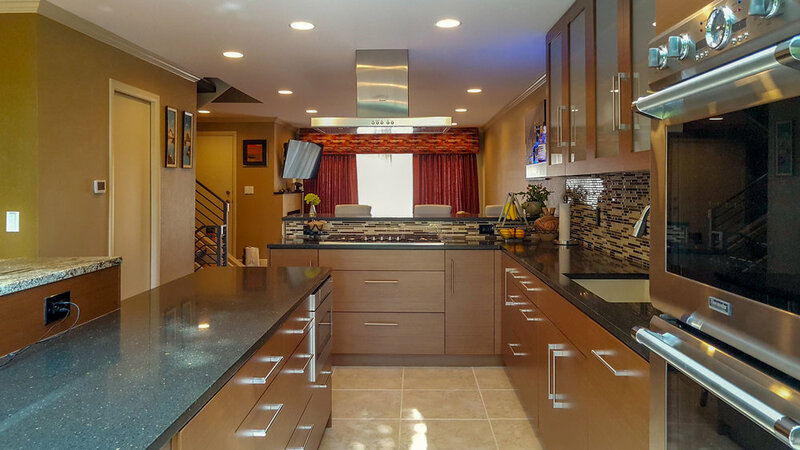 Our client came to us seeking a head to toe remodel of the main floor area. 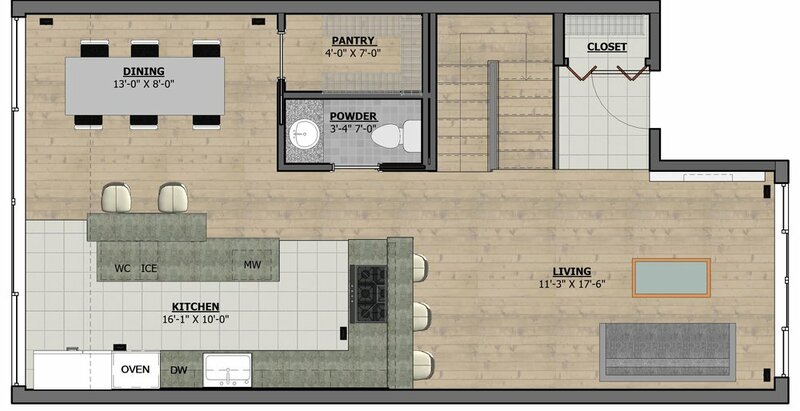 Multiple floor plans were studied, before ending up with a re-imagined, open concept kitchen and living area. The client had a specific material pallet in mind, and BDB helped round out the kitchen finish selections to complement the already established motif. Ultimately, the new plan called for a re-configuration of all systems; electrical, plumbing, and HVAC, giving the retro townhome, a breath of fresh air, and an open, contemporary concept that makes this home perfect for entertaining!